When parents decide to divorce it is only fair to be honest with the children. Depending on the family dynamics and the ages of the children some may already be well aware that there are problems, while others may not have a clue about what is going on. Ideally it is best to gather together as a family to tell the children of an impending divorce or separation. Doing this presents a united front. It shows the children that even though you are getting divorced you still both love them and are united in your responsibility to them. It also allows an opportunity for the children to ask questions and get answers from both parents. During this family meeting it's important to stay focused. This isn't the time for arguing, placing blame or belittling your spouse. Decide ahead of time what you are going to tell the children. Make sure it is age appropriate. Don't assume that your children really understand what a divorce is. It is your responsibility as the parents to put in plain words that divorce happens when two adults can no longer live together. Make sure your children understand that divorce is only between adults. It isn't necessary for children to hear the gory details of the break up. What they do need to know is that even though the parents no longer love each other you both still love them. They also need to know that it is not their fault that the marriage is ending. Children are usually filled with hope that their parent's will reunite. Don't give your children a false sense of hope that you will get back together. Help them understand that divorce is final and while it is a normal reaction for children to want their parents to reunite it is very unlikely that it will happen. While the children don't need to know the intricate details of the divorce they do need to know how it will impact them and their daily lives including new living arrangements. Let them know how they can communicate with each parent when they are with the other parent. This is a lot for a child of any age to take in all at once. Plan a follow up family meeting to answer any questions that the children may have. Keeping the lines of communication open and honest can help smooth the adjustment period. As I said earlier, "ideally" a family meeting is the best way to tell the children about divorce, but we don't always live in an ideal world. If one parent has suddenly moved out or if there is bitter fighting going on than a family meeting probably won't work. Difficult as it may be, put aside your anger and hurt and give the children the age appropriate information they need to cope with the changes that lie ahead for them. According to their website "Divorce is one of the most common major transitions in children's lives, with 40 percent of all children experiencing the divorce of their parents. With Little Children, Big Challenges: Divorce, Sesame Street has created much-needed resources for families with young children (ages 2 to 8) as they encounter the tough transitions that come with divorce." Divorce Attorneys - A directory of divorce attorneys listed by state and county. Divorce Mediators - A directory of divorce mediators listed by state and county. Free Child Support Calculator - Free child support calculator for all 50 states and the District of Columbia. The Collaborative Divorce Process - If you are contemplating a divorce but want to avoid the fault finding, fighting and conflict that is bound to occur in the adversarial system, then this alternative might be for you. Alimony - Comprehensive guide to the different types of alimony, including the criteria generally used in the determination and amount of alimony, and tax ramifications. 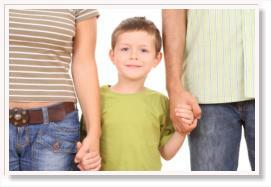 Child Custody - Reviews the different types of child custody. The emotional (for both child and parent) and financial points of view of a custody battle are also discussed including court ordered professional custody evaluations. Child Support - Guide to understanding child support payments, and the criteria used in determining the amount of payments. It covers the emotional aspects as it relates to visitation and the possible ramifications of non payment. Frequently Asked Divorce Questions - A state by state list of frequently asked questions with answers supplied by divorce professionals. Divorce Support Groups - A listing by state of Support Groups that deal with the issues of divorce.